Have you ever used a software tool or an online service to convert a PDF file to Word or vice versa? If you have, then you know that each tool produces different results. Sure, if you’re looking to convert your resume before sending it to a potential employer, any run-of-the-mill online tool can get the job done. But, if you’re a professional whose job consists of converting PDF files on a daily basis, then using web-based tools and basic software just won’t cut it for multiple reasons. First, these tools can’t effectively cope with complex & large PDF files. Second, safety. Do you really want to upload your personal or business files to who knows where? Of course, you don’t. Third, not every tool provides the features most people need. No need to list any more — you get the picture. Instead of wasting your time & patience go straight for the top-notch solution. And we have just the right one for you – Able2Extract, a professional PDF suite that can cater to all of your PDF needs. Able2Extract is not only capable of delivering highly accurate conversion output in different formats but, as we already mentioned, has many other features you can avail yourself of. PDF to MS Excel, Word, Publisher, PowerPoint, HTML, OpenOffice, CSV, Images & AutoCAD. OCR technology: Ability to search and convert scanned PDFs to other file formats. Batch Conversion: Ability to convert entire folders that contain PDF files. 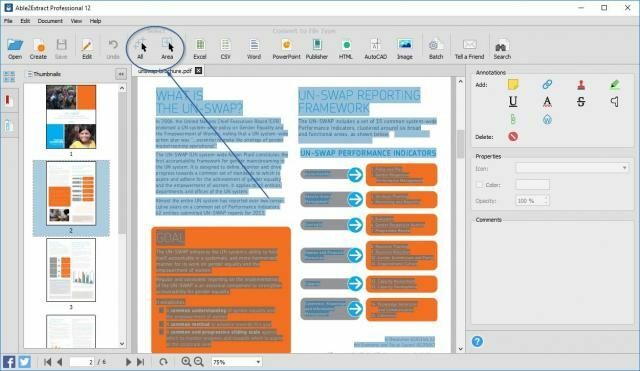 PDF Editing: Text, pages, visuals, forms, content redaction. PDF Security: Password protection & file permissions. Able2Extract is renowned for its smooth and accurate conversion of complex PDF files. The process is as simple as it gets. 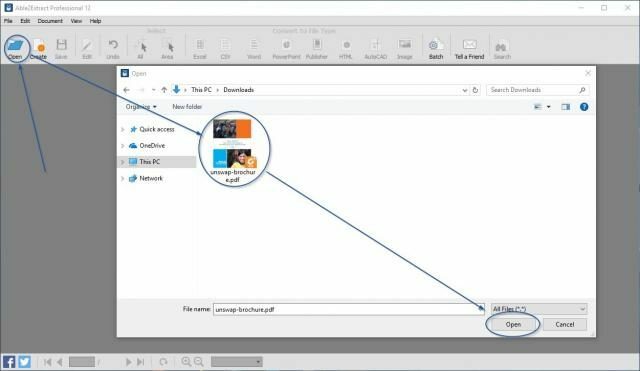 Three steps, Open-Select-Convert, is all it takes to get the perfect result, making this the most attractive feature in its toolkit. Click on the Open icon & pick the PDF you want to convert. Click on the Word icon & the conversion process will start automatically. A few moments later (depending on the file size), Able2Extract will convert the PDF to Word and the file will open in MS Word. As far as we’re concerned, the process can’t get any easier. Simple, straightforward and the output result is perfect. Also, there’s a 7-day free trial available so that you can test the software out before making the decision. Of course, we urge you to download the free trial first and see how it performs. 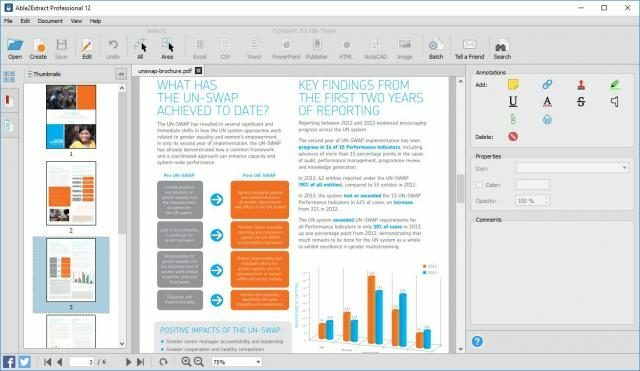 Note that the trial version allows you to convert up to 3 pages of a single PDF file. If you’re one of those “on the go” types, fear not, for there is an Able2ExtractiOS app. Don’t be fooled. The app is as powerful as its desktop counterpart. Able2ExtractiOS also comes equipped with OCR and can create and convert PDF to Word, Excel, PowerPoint, images and even AutoCAD files. The app requires a one-time payment of $9.99 and you can download it here. To sum it up, when it comes to PDF conversion, look no further than Able2Extract. The software delivers impressive results with the utmost precision. 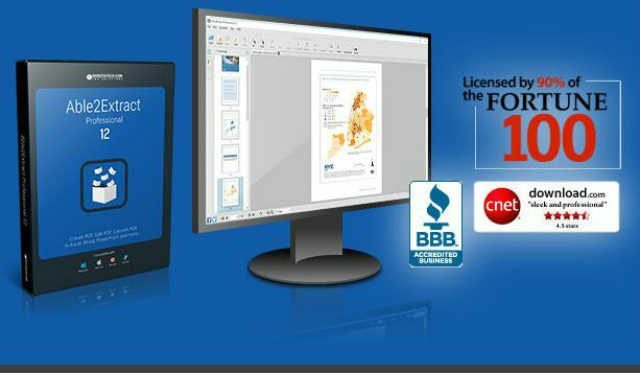 Plus, for the price of $149.95, you don’t just get a great PDF conversion tool, you get the whole PDF package: editing, form manipulation, annotation, password protection and much more.